Disney confirmed the news through a series of tweets during the Investors meeting. And here are a few of the Marvel highlights. Based on this, it stands to reason these shows would tie into what happens after Avengers: Endgame. Although, we’ve also heard about how Loki will explore the character’s mischievous side as the demigod does a bit of time traveling. Of course, the Disney Twitter feed and Marvel Studios president Kevin Feige would not elaborate on how the fates of these characters would affect the overall show. And the Hawkeye show would explore Clint Barton as Kate Bishop’s teacher. So there is a lot to unpack from the recent investors’ meeting. As for the Disney animated series What If, the first episode will look into what if Peggy Carter had taken the super soldier serum instead of Steve Rogers. 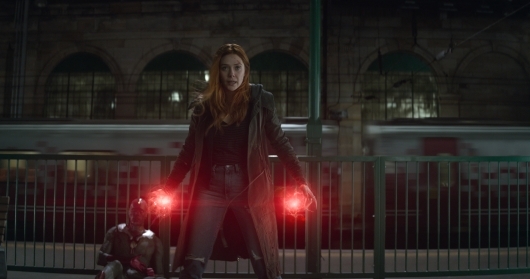 But the one thing that will make Marvel fans happy is that Anthony Mackie, Sebastian Stan, Elizabeth Olsen, and Paul Bettany will all return to reprise their respective roles. Will there be any chance of a crossover for the four of them? That remains to be seen. Of course, we will keep you updated as soon as we learn more about these shows when more reports and developments come in.